Send your warmest wishes with a vibrant, stunning display. There's no better way to express your sympathy and support. 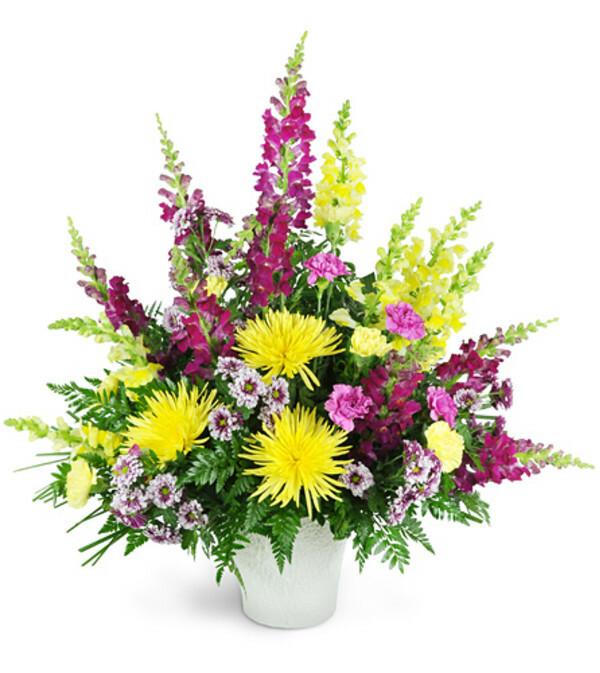 Featuring snapdragons, fuji mums, and carnations in shades of purple and yellow, this arrangement is appropriate to send to the funeral home or service. 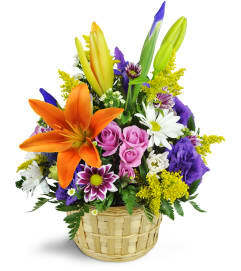 AZ Whittier Florist is a Lovingly Florist in Whittier. Buying local matters. Discover how Lovingly supports local florists. 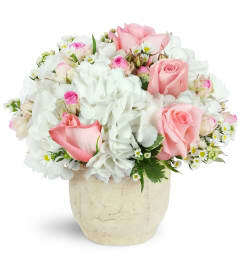 Copyrighted images herein are used with permission by AZ Whittier Florist.